Voice MagAboutOrganisations - register now! Voice is launching a brand new feature which enables organisations to register on a searchable map for young people - called Voice/near-me. This means you can have a personal profile and register your organisation separately. Many organisations have joined Voice over the years and we're making it easier and clearer. Once you've registered your personal profile you can register your organisation(s) too. You can then post or comment on blogs or reviews as your organisation or as yourself, whichever is more appropriate. 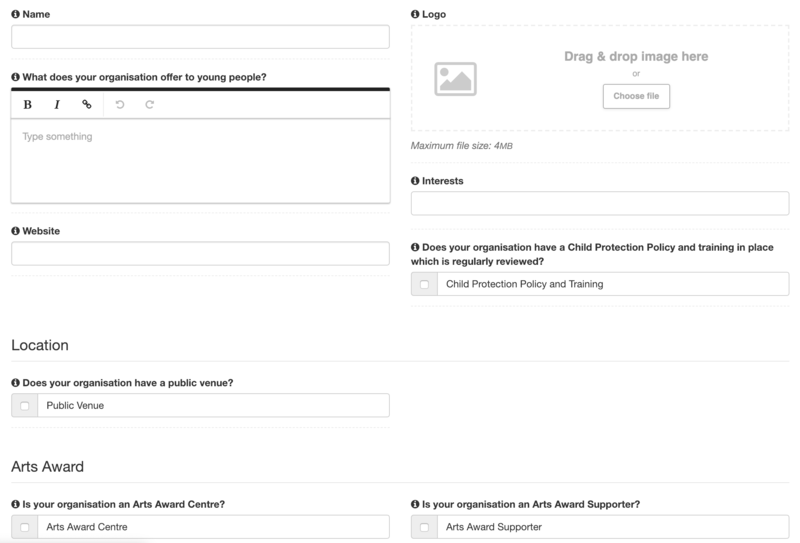 For example, if one of your Arts Award group has posted a great blog, you might want to comment as an individual. However if someone unknown to you reviews a show at your theatre, you might want to post your response as the organisation. What's more, if you want to share your organisation's profile with a colleague, or you're moving on, just drop us an email to hello@voicemag.uk and we'll add multiple users to the profile. If you're already registered as an individual, just Add an organisation. If you ever want to change it, just click 'My Posts' in the user drop down and then choose 'Organisations' from the left hand menu. If you haven't yet registered on Voice - Register now, simply tick the box at the top of the registration form and we'll take you straight to the 'add an organisation' page when you verify your email from a link we'll send.